Sacred Harp is a uniquely American tradition that brings communities together to sing four-part hymns and anthems. It is a proudly inclusive and democratic part of our shared culural heritage. 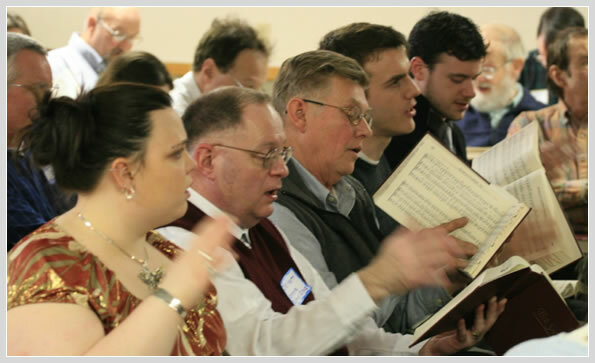 Welcome to the official website of the Dayton Sacred Harp singers. 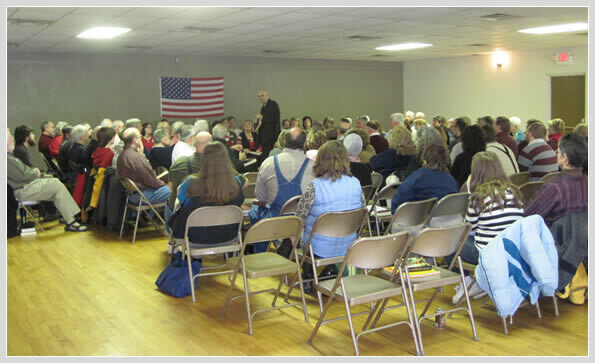 We are an avid community of singers in the Dayton, OH area, practicing an early American form of singing, called Sacred Harp. 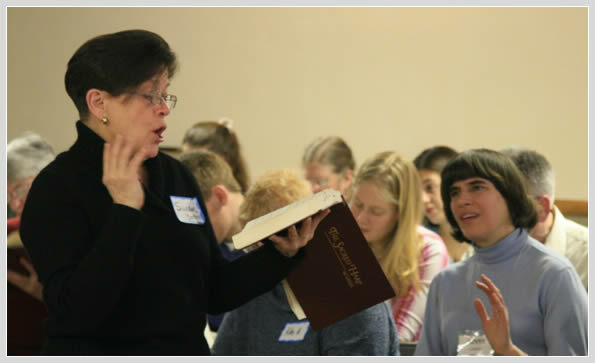 This website will attempt to introduce you to Sacred Harp singing and provide information about upcoming singings, special events, and other news. 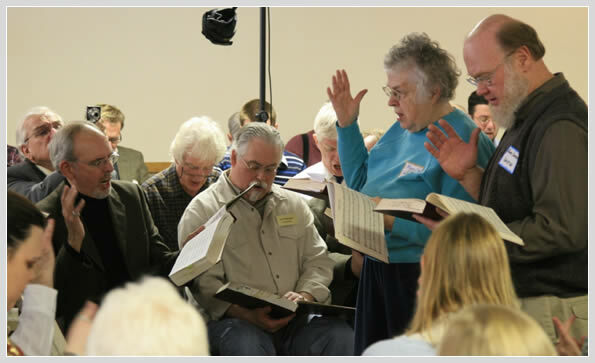 We would love to have you come and sing with us, so if you're interested, you can review our singing schedule on the singings page, and you can get directions to our location here. Thanks for visiting!